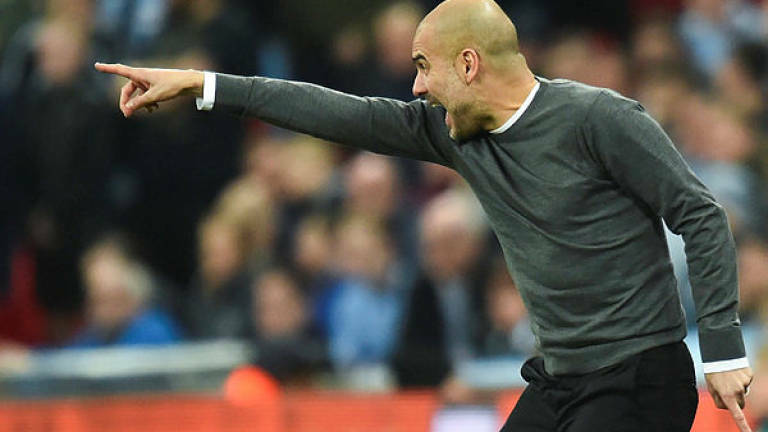 Manchester City bagged the first silverware of the season by winning the League Cup final against Chelsea but manager Pep Guardiola will be cautious about the midweek league encounter with his predecessor Manuel Pellegrini. Since his arrival in 2013, City have won more than 70 per cent of the games in which he has played, a percentage that drops below 60 in his absence. Ilkay Gundogan and Fabian Delph are logical potential replacements in the defensive midfield role but, despite their status as international players, they cannot match Fernandinho's poise and tackling ability . De Bruyne described the relentless demands on the players. "I feel all right, you know. It's tough but it's tough for everybody with the amount of games coming up," said the Belgian. "The schedule this week doesn't help us in a way but we'll take it as it goes. In the end we don't decide when we're playing, we just go and play and do the best possible."